Move in ready home in the popular neighborhood of Abbey Glen!! 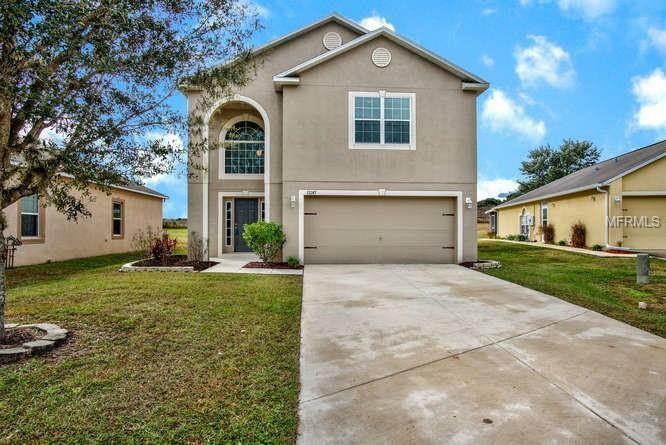 Located in the city limits of Dade City, this 4br/2.5ba/2cg immaculately maintained two story house has a freshly painted interior and brand new carpet through out. Open concept kitchen has plenty of storage and and looks over a large, bright, living room. Sliding doors lead out to a covered lanai and back yard that has more than enough room for a pool. A half bath and laundry complete the living space on the first floor. Second floor has a large master bedroom with bath, three guest bedrooms, and a full guest bathroom. The master bedroom and bath have two separate walk in closets, garden tub, walk in shower, and a double vanity with plenty of counter space. 2018 hot water heater, 2009 Roof, and 2009 A/C. This fantastic home is walking distance to John S Burkes Park and is minutes away from downtown Dade City, Saint Leo University, shopping, hospitals, and I-75. Don't let this one get away!